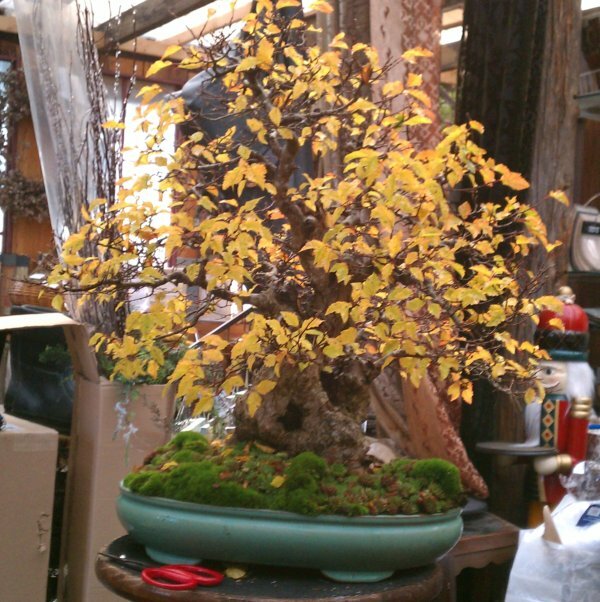 Recently I worked on a large Korean Hornbeam of Daniel Robinson’s (my teacher) at Elandan Gardens, this is the story of that tree, through a few images. For those of you familiar with Elandan you will have doubtlessly seen this tree in the collection where it has lived for a great many years. I fell in love with this tree (actually all the hornbeams) from the minute I set foot in the garden. They are such a spectacular species and this tree is certainly no exception. Much of the deadwood had weathered and changed over the years and excavating what was left behind was a wonderful distraction between hours of focusing intently on little tiny branches. This tree took me about 16+ hours to wire over the course of about 3 days. I gave it a break for a few days during the work week and finished it just before heading to bed on Monday. This was a tremendous amount of fun as always. I never tire from the transformations, of a twig, a branch then a tree. It makes me fall in love with bonsai all over again. I hope this helps show how important it is to do detailed wiring. This is the only way to get those amazing ancient crowns. 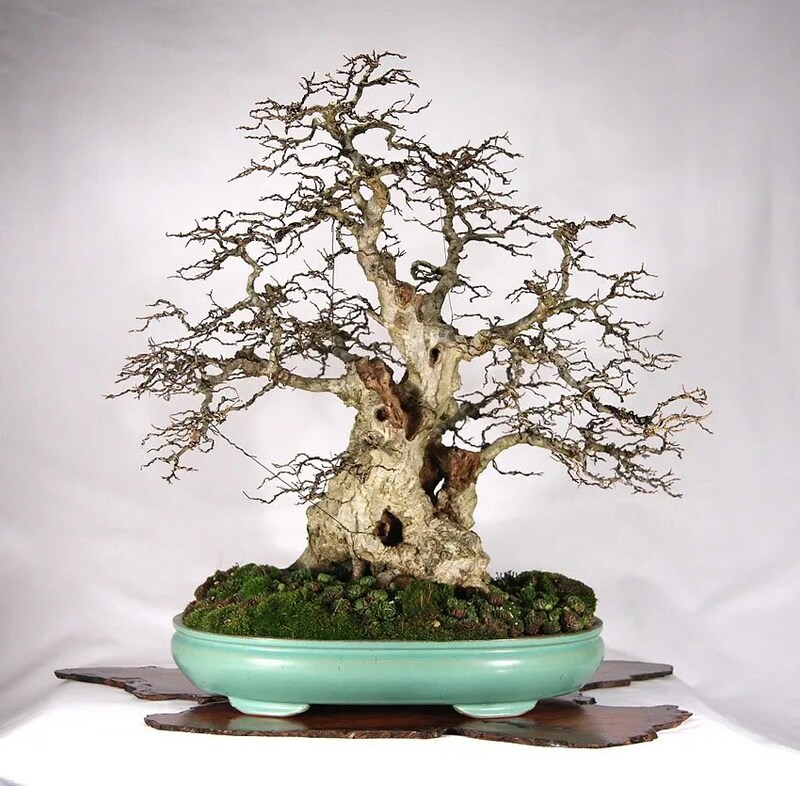 I am currently working another large hornbeam from the collection and hope to have it completed soon. I will post a more detailed progression of it’s change in the coming weeks. 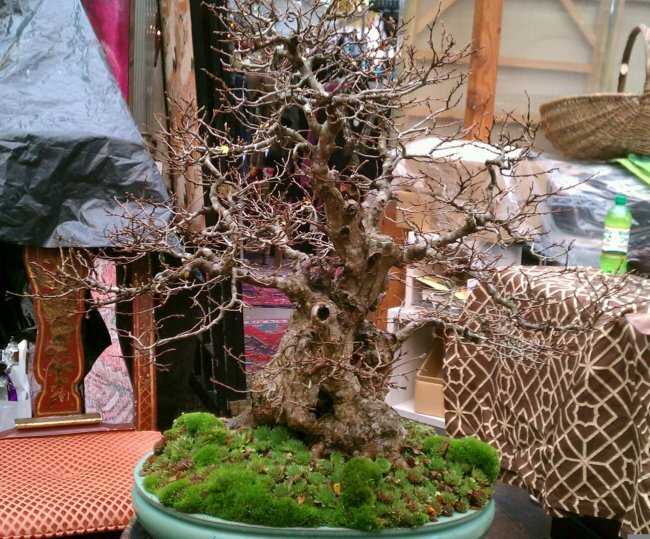 This entry was posted in Bonsai, Design, Progression and tagged ancient, bonsai, focal point bonsai, gnarly, hornbeam, wiring by ang3lfir3. Bookmark the permalink.